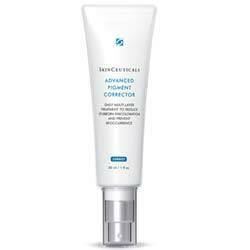 Skinceuticals Advanced Pigment Corrector Review: Best Spot Corrector? Skinceuticals Advanced Pigment Corrector bills itself as an anti-aging product that can help address skin discolorations in all ages and ethnicities. Skin discolorations can come about through cumulative skin injury from the sun or pollution, as well as aging, and this product uses a range of exfoliants to support this goal. The product is sold in 30ml (1 ounce) bottles, at a price of $90 when ordered direct from Skinceuticals. We were able to find it for as low as $62 per bottle at other online retailers, so shopping around may pay off. Ellagic Acid: An antioxidant meant to encourage healthy skin cells. 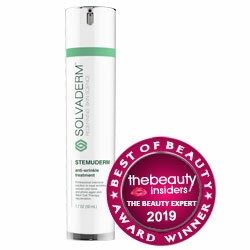 Apply a small amount of this product to a dry face or other discolored area. For best results, avoid sun exposure while using this product. Directions are easy to follow, making it simple to make this product a part of one’s routine. Skinceuticals Advanced Pigment Corrector has a lot going for it, at least according to their own claims. A skin lightening/smoother that works for people of color and all complexions is a really promising concept, but there is no clinical evidence provided to support these assertions, which makes it hard to take them on faith. Also, the price per bottle is extremely high, and while it might well be worth it, there are other anti aging treatments available at a range of prices in the modern marketplace. You’d be well served to shop around thoroughly before you commit to a purchase, to be sure you get what fits your needs.